This single channel analogue decoder is a single output module, featuring PWM smooth dimming from 0-100%. 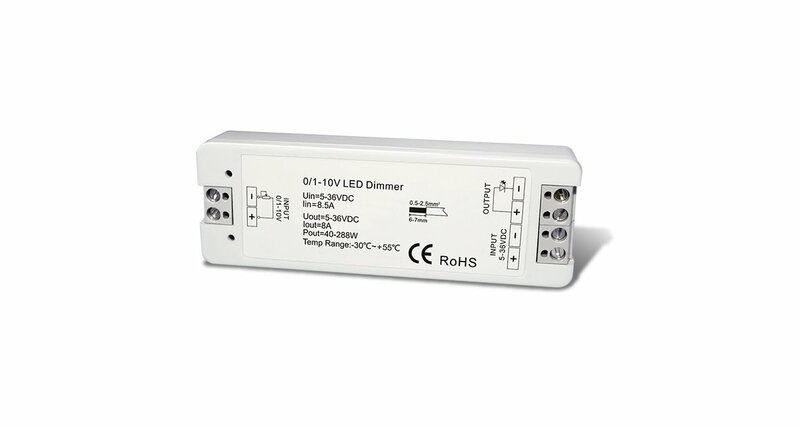 This product is compact and easy to install and is compatible with standard 0/1-10v protocols. 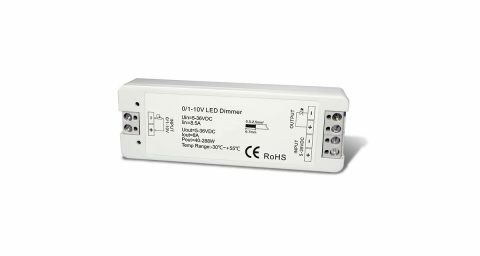 Compatible with signal repeater to expand your LED lighting.